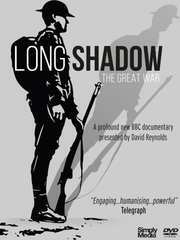 ‘Long Shadow – The Great War’ was a three-part, hour-long documentary series which aired on BBC 2 in 2014, marking the centenary of the start of the war. Based on Cambridge academic, David Reynold’s book of the same name, it condenses the central thesis into three distinct chapters. Presented by the author in person, Reynolds delivers his work in a slightly mannered, over-trained presentation style which occasionally gets in the way of his otherwise very worthwhile work. The central themes of the documentary are pretty well summed up by Reynolds himself in the opening minutes of the first episode. Whilst the format is rather like an extended academic lecture, the physical positioning of Reynolds in many relevant locations around Europe as he delivers his presentation certainly helps maintain the momentum and interest, adding visual context to what might otherwise be fairly dry material. One of the principal difficulties with historic documentaries focusing on eras before the 1920s is the lack of visual material. This series does a good job of getting around that though be in no doubt that across the series three hours, at least two and half of those will be spent looking at Reynolds delivering in his intense, self-conscious and slightly twitchy style. Another curio, though understandable in so much as the series will not have been filmed in chronological order, is that Reynolds consistently wears the same light suit and blue shirt throughout, rather like one half of Gilbert & George, travelling the length and breadth of Northern Europe. 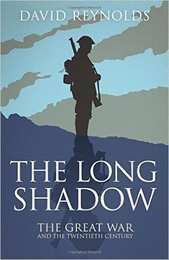 Reynolds premise for the series, and hence its title, is to not only review the events leading up to the war, and the war itself, but the ‘long shadow’ it left across Europe in its aftermath – positing that WWII would probably not have happened had it not been for WWI. 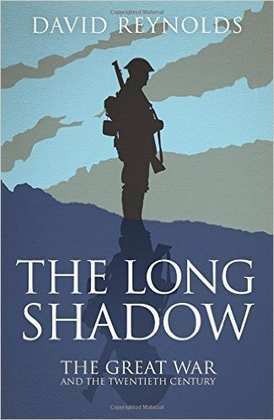 So rather than what he sees as a caricature of ‘mud and trenches, poets and poppies’ he argues that this view has been arrived at over time and was not the common view held immediately after the war, but rather since WWII which was seen as a more righteous endeavour by the British. 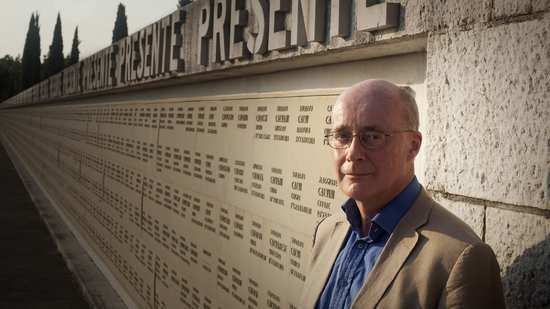 He shows how Britain invested heavily in the diplomatic ideals of the League of Nations and charts the popularity of disarmament movements as examples of the changing reflections on war post WWII. 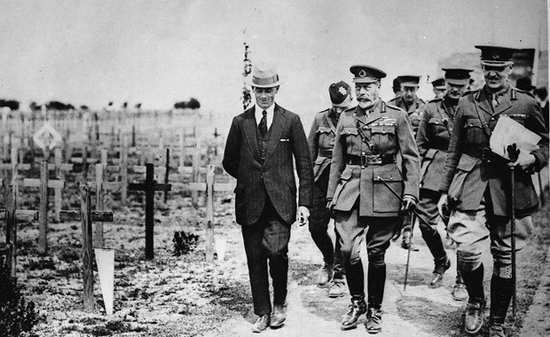 For many British people, the terrible sacrifice of WWI would not have been in vain if it had proved be ‘the war to end war’. So he tells of the ‘Peace Ballot’ of 1935, with an astonishing 11.9 million signatories despite the lack of any social media to make such action more than a tap of the thumb. 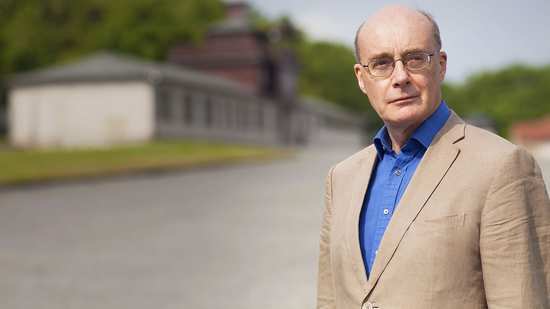 However, in contrast to such views, he also shows that in Germany, as a result of the humiliation of WWI, what mattered most was that they never lose a war like that again – a very different view point and one that created the imperfect storm which allowed Hitler to gain so much traction. 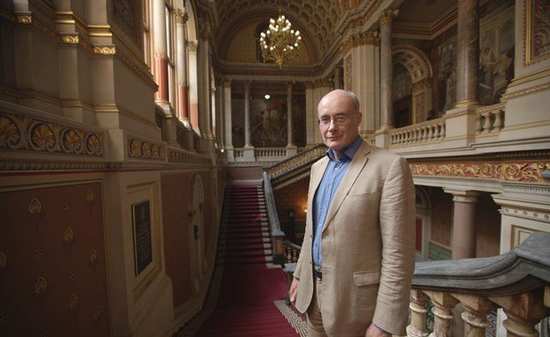 In the second of the three episodes, Reynolds looks at how the conflict brought about massive turbulence in politics – polarising the outcomes to great democracy and extensions of the right to vote in Britain and elsewhere, with the eventual rise of fascism in Italy and Germany, and communism elsewhere. We see Reynolds in a variety of locations, examining the different political consequences, including the battlefield of Caporetto in Slovenia, the National Assembly in Paris and particularly Buckingham Palace in London where he seems to spend the bulk of the episode. 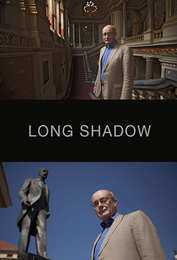 In the final episode, Reynolds argues that the war made national identity a huge issue, focusing on the nationalist uprisings and empire-building by Hitler, Stalin and even the European Union in the century since 1914. I wonder what he would make of Britain’s exit today? Whatever your views, there is no doubt that the Great War signalled great change in empires that had ruled Central and Eastern Europe for centuries and it was no coincidence that nationalists chose the moment to progress their causes and take control. We see Reynolds in the Sudetenland in the Czech Republic and in the Palace of Versailles to explore the drastically changed map of middle Europe in 1919 with new nation states emerging from the Habsburg Empire, which effectively destabilized the Europe for pretty much the entire twentieth century. Of course, as Reynolds posits, it was all very different in Britain. The British Empire became unified with dominions like Australia and Canada becoming closer than ever. The same was true of England’s union with Scotland and Wales; after all men from all countries had fought side by side in the trenches. The only real exception was Ireland, and Reynolds spends some time tracing the problems there – particularly the Easter Rising in 1916 and the huge loss of Irish life at the Battle of the Somme, both incidents which carry strong and resentful feelings to this day. Overall, Reynolds academic approach will not appeal to all. It is however, incredibly well-informed and is presented professionally and in as a compelling way as possible. Image quality is excellent throughout and, despite the lack of extras, it is certainly recommended to anyone with an interest in such things.